As far as components of your home go, your roof is pretty important. Obviously, it provides shelter from the elements, but it is also a significant structural component; and an expensive one at that. Roofing replacement can costs thousands of dollars, so it’s no surprise that homeowners are motivated to take the necessary measures to prolong the life of their roof. When it comes to durability of roofs, the most important factor to consider is the quality of materials that go into building them. Ultimately, the lifespan of a roof is directly correlated with the quality of materials installed as well as the quality of the craftsmanship of your roofer. Make no mistake, there are many different roofing materials appropriate for various climates and geographic regions – metal and tile roofs are expensive but offer the most durability, while asphalt shingles are affordable and easy to repair. But, regardless of the type of roof you have, here are some tips to prolong the life of your roof. Always work with qualified, reputable roofing professionals when installing a new roof, completing roofing repairs, or scheduling annual inspections and maintenance. The quality of the work put into a roof is directly related to its lifespan; so, even if a potential roofer costs more, you may save money in the long run because the job was done well. Not only should you hire reputable professionals for your roofing work, but you should also schedule regular roof inspections and maintenance. Solving a problem before a leak forms can protect roofing substructures, prevent rot, and extend the life of your roof. Depending on your climate, you should ensure your roof is inspected every 1-3 years. In wet climates with a lot of snow, more regular inspections are advised. 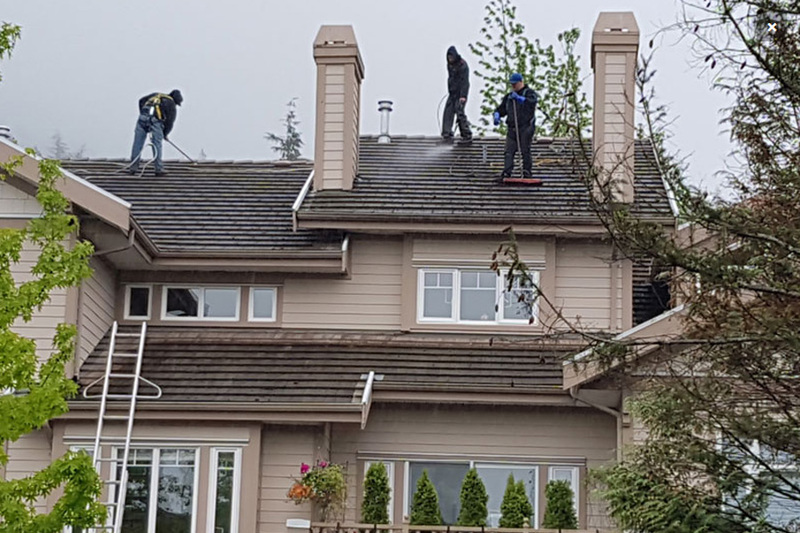 In fact, any location that is subject to extremes of weather can wreak havoc on roofing structures and preventative inspections and maintenance are always a great idea. So, what is involved with regular maintenance? Prolonging the life of your roof means that you must regularly clean gutters, remove roof debris, and clear ice dams to prevent unnecessary damage. Overflowing or clogged gutters can result in water damage to roofing structures along with fascia and soffits that run along the gutter. Similarly, excessive debris on your roof can not only clog gutters but can promote the growth of moss which can also damage your roof. Finally, ice dams that form in the winter months often melt and refreeze and are known to break down roofing materials and ultimately create leaks. If you want to prolong the life of your roof, the easiest approach is prevention. Regular inspections, cleanings, and maintenance along with quality materials and workmanship are the keys to a long-lasting roof. How Long Should Shingled Roofs Last?